KISSIMMEE, Fla., January 9, 2010 – Cold temperatures throughout Central Florida Saturday evening sent Kissimmee Utility Authority (KUA) customer demand for electricity soaring to an all-time winter record – the second in three days. 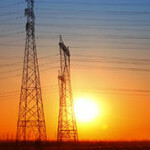 The record system peak of 321.2 megawatts (MW) was set at 6:25 p.m. Saturday, shattering the old mark of 308.8 MW set Jan. 7. The temperature at the time of this evening’s peak was 37 degrees. One megawatt powers approximately 750 homes. KUA crews responded to several small outages earlier today caused by overloaded equipment, but all service has been restored. • Set the thermostat at 68 degrees or the lowest temperature you find comfortable. Each degree you raise your thermostat will cost you approximately eight percent more. • Use ceiling fans to distribute heat around the room. Reverse the direction of the fan blades from that used for summer cooling. • Keep curtains and shades closed at night and on cloudy days. Founded in 1901, KUA (www.kua.com) is Florida’s sixth largest community-owned utility providing electric and telecommunication services to 62,000 customers in five Central Florida counties.